Fears that recent high-profile open-loop scrubber bans in territorial waters will impact the economics of the technology seem increasingly off the mark, with Star Bulk today the latest to join a growing number of scrubber-advocating shipowners to say the bans will be no impact. “When we did our calculation on scrubbers we did not take into account port time at all. We only took into account sea days, so it does not make a difference,” CEO Petros Pappas said during today’s 2018 Q4 earnings call. 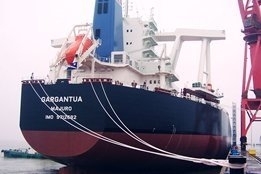 The comments echo those made last week by tanker owners DHT Holdings and Dorian LPG Ltd. In terms of payback, Pappas said that with a differential between compliant fuel and HSFO of between $250 and $300, "we may be able to repay the scrubbers within a year or so." The dry bulk player said last year it will install scrubbers across its entire fleet.